When the previous owners moved out they left us several "gifts", whether intentional or not I don't know. 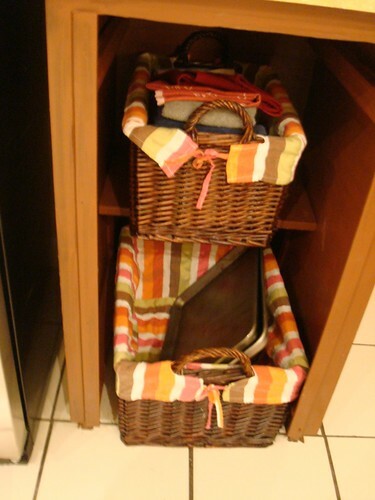 One such gift was a set of baskets that sit into a cabinet that likely once held a trash compactor. While I have plans to one day recover them (once we pick a color scheme for the kitchen) they do their duty well for now, holding kitchen towels and baking sheets.